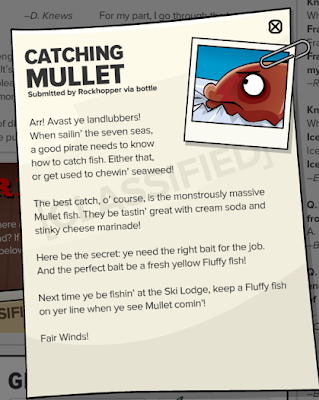 Club Penguin Cheats by Mimo777 Club Penguin Cheats by Mimo777: Club Penguin Time Issue #345 is Here! A large meter is heading toward the island! But it's ok, it's moving VERY slow! That's funny.... What could it be? The meteor is "expected" to hit June 7! Aunt Arctic says that there is NOTHING she enjoys more than writing the Club Penguin Times every week! Have you ever noticed the Mullet really doesn't have a mullet? The comet looks like it's radioactive. 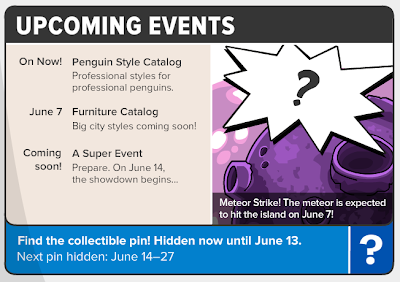 Maybe the comet could hit the metal scrap thingy and it'll develop a mind of it's own and it'll start wreaking havoc around Club Penguin and Loki would probably try and control it to obey his every command! Agents, Ninjas, Avengers, Rookie, STAY ALERT! Maybe the machine in the forest was some machine that backfired on herbert! 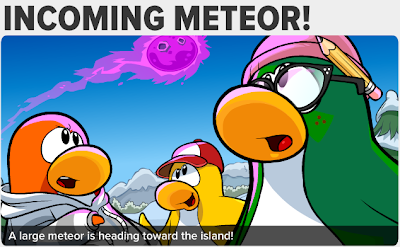 Finally cp brings Herbert into the story!! 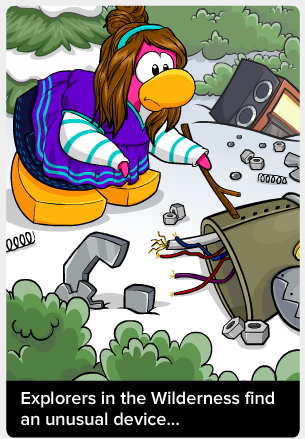 The "device'' she is poking with a stick looks exactly like like the head of the ultimate protobot from the EPF DS game. That doesn't mean it is but I think it looks like it. You can see the beak and one eye near the right edge. Have you read the Shadow Guy and Gamma Gal comic books? It says in the books that Gamma Gal becomes a superhero by touching a meteor. I think that the meteor will land and turn everyone into super heroes/villains for the Marvel Superhero party. OMG ULTIMATE PROTO- BOT IS BACK!!!!!!!!!!!!!!!!!!!!!!!! !FROM 2008 TO NOW!!!!!!!!! !